An agoraphobic woman trapped in her home for most of the past 15 years – apart from a brief stint when she met her husband – had to take anxiety medication just to make it to the wedding. The brave woman, who was named only as Linda, took to the airwaves today to tell Adrian Kennedy on Dublin’s 98fm how she had a panic attack in school at the age of 15 – and from that day she spent long periods of her life stuck in her home. However, Linda, who is almost 30 – managed to get a job in a pub for a brief period – being escorted to and from the bar by friends – and this is when she met the man who would become her rock. But sadly, even the love of a good man could not cure Linda. “We only got married in November but in the last few years my anxiety came back really bad. We got married in a hotel up the road from my apartment. I had to take Xanax to even get there, which isn’t nice to say on your wedding day. Linda told how she couldn’t even look out the window when she was a teenager and had to do her Leaving Cert at home. She was escorted by loved-ones to school to do her Leaving Cert – but her entire life has been disrupted by the psychological condition which causes a person to have a fear of the outdoors. Agoraphobia is an anxiety disorder where the sufferer perceives the environment to be dangerous, uncomfortable, or unsafe. Like many sufferers Linda sees her home as her safe haven – but while her husband is at work, she confines herself to her bedroom for most of the day because this is where she feels most at ease. “When my husband is here I can go to each room to clear up,” she said. I can go out to the garden with the dogs, but if he wasn’t here, I would stay in the bedroom and only get up to see the animals. It is a terrible existence. For another brief period Linda managed to hold down a job but after a short time she was unable to handle the stress of being outside. Though her husband dropped her off, Linda just couldn’t take the panic that struck through her when she left her home. “I haven’t worked since 2009. I was okay up until 2010 but since then it’s got so bad I can’t go anywhere without taking Xanax. Linda said she had felt she was coming to a breakthrough when she was receiving visits from a psychologist – but says these stopped two years ago due to a lack of ‘resources’. It (the visits) just stopped and I had anxiety and thought ‘what did I do to her?’ I was told there weren’t enough resources. Linda said that the HSE only offers a service where she can be seen every five months now – and the ultimate problem with this is she has to take medication once again just to get to the appointments. “It’s a 15 minute drive. I have to take Xanax and then I am left for five months alone to suffer. “They should have someone come out to the house. I shouldn’t have to travel, I should be helped in the house. “It’s horrible. I want to highlight it. People think going to the shop is an easy task. They wouldn’t think there’s someone that can’t do that. “My husband has to have all the essentials in for me. He is amazing. I am lucky to have him. Other men would run a mile. We have had good times so maybe he is hoping we will get back there. He is a wonderful man, he could do much better. Linda said she is also taking an anti-depressant to deal with the condition. “People need to have a bit more compassion towards mental illness,” she said. 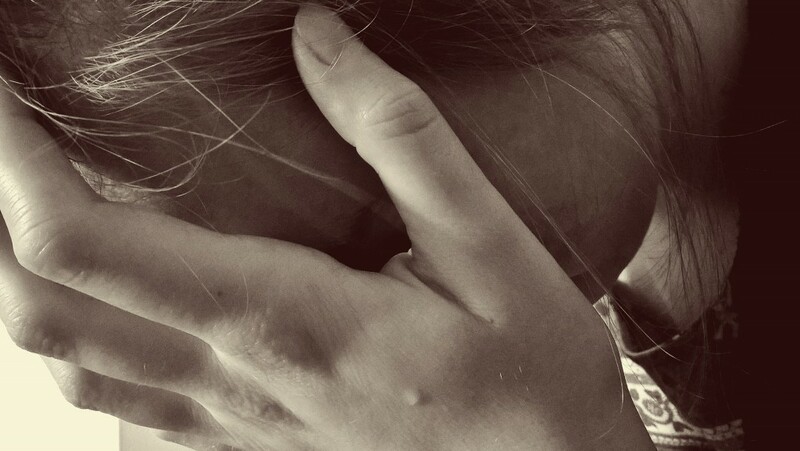 ← “I went to the office toilets to cry” Mental health at work.